This article gives you complete information about the India Vs West Indies Tournament fixtures and details which is the final tournament of India in 2011. Read the article full for more details about the fixtures of the tournament. 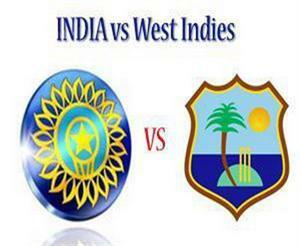 India Vs West Indies Tournament will start from November 6 2011. After a successful series against England, India will face West Indies which includes 3 tests and 5 oneday matches. India will end the 2011 year by this series. Currently India is at rank 1 and this tournament will help India to Improve the rankings. this tournament is very important for Sachin tendulkar to hit his 100th century in world cricket. More details about the fixtures of India vs West Indies series are given below. India Vs West Indies fixture 2011 are given below. time, venue and date of each match is given below. All timings are given in Indian format.